Since starting as a preschool in 2012, CIS has expanded twice—to our main campus on Koh Pich in 2015— and again with another preschool in the Tuol Kork area of town in 2016. This preschool in Tuol Kork has now moved closer to our main campus on Koh Pich to ensure a smoother transition for students as they move from preschool to elementary school. This new preschool opened February 6th, 2019 in Olympia City. At CIS, we emphasize the importance of offering world-recognized curriculum to children in Phnom Penh as early as 18 months old. We focus on developing the ‘whole child’ socially, emotionally and physically. Children obtain literacy and communication skills through play-based learning and we encourage logical/critical thinking. Our preschools follow a Canadian curriculum using the Alberta (Canadian) document, “Play, Participation and Possibilities: An Early Learning Framework for Alberta”. It is widely used in many schools that feed into an inquiry-based IB school. This document was written for the education of young children in one of the most prestigious provinces in Canada and is based on thorough, current, educational and scientific brain research on how young children learn best. The document provides a clear guide for the curriculum in early childhood settings. It focuses on helping each child achieve their full potential through active engagement, activities, observations, experimentation and social interactions. Play is the key means of early learning as it encourages children’s curiosity and eagerness to learn. The goals and outcomes are clearly defined, but the pathway to reach those goals may vary for each and every child. 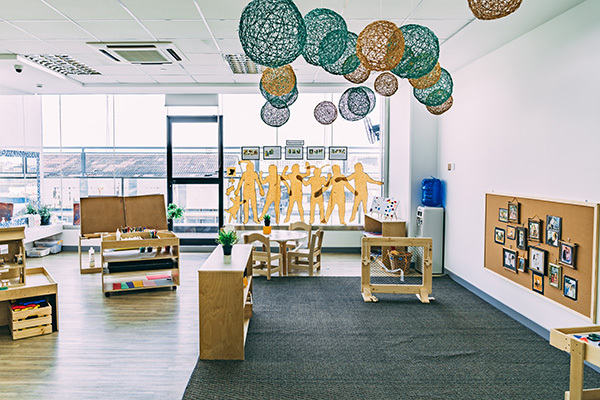 Our preschools are Reggio Emilia Inspired and we require teachers to understand the approach and framework of the Reggio Emilia philosophy, while ensuring it fits with our setting in Cambodia. 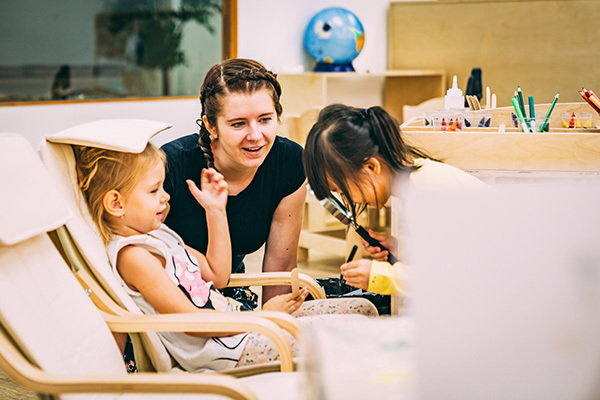 Reggio Emilia works very well with the Canadian philosophy of learning and is referenced in the Alberta Early Years curriculum, “Play Participation and Possibilities”. 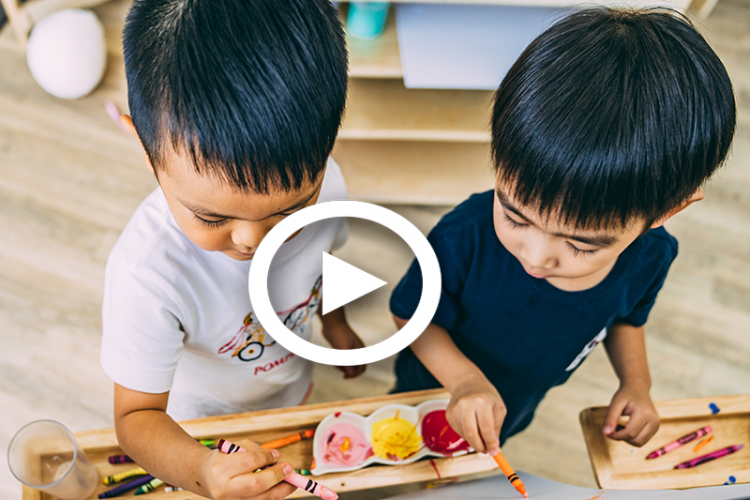 The Reggio Emilia philosophy is an inspiring approach to early childhood education as it values and respects a child as a strong, resilient, independent learner, capable of creating their own knowledge and understanding. Children are encouraged to investigate, discover and explore in a supportive and rich environment, where the curriculum emerges while following the children’s interests and curiosity. 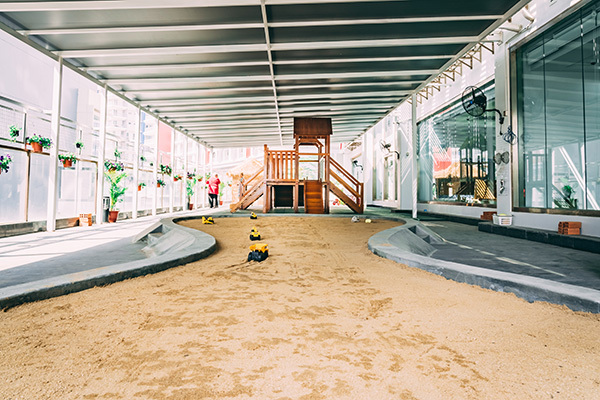 Our well-trained and western educated teachers design classrooms and activities to facilitate free and structured play. All of our teachers have degrees, diplomas, and experience in Early Childhood Education. The activities taught in class provide children with useful vocabulary needed for everyday interactions, learning, exploring, and self-expression. Business leaders are now saying the future successes of our children lie in the ‘soft skills’ learned from a very young age. All of this feeds into the ongoing success of students as they continue their schooling on Koh Pich (Diamond Island). The Koh Pich campus is currently undergoing an expansion as the second and third phases are being built to include a high school, shared community facilities which will include a sports complex and pool! – Makerspace and much more!